Only one week after being told he had cancer, student Jake Bailey was wheeled on stage for his end-of-year speech as head boy at Christchurch Boys’ High School. None of us can forget seeing him on television, brave and determined. His words moved everyone and spread quickly around the world so that people everywhere knew of this young man from Christchurch. A young man who had the biggest battle of his life ahead of him. 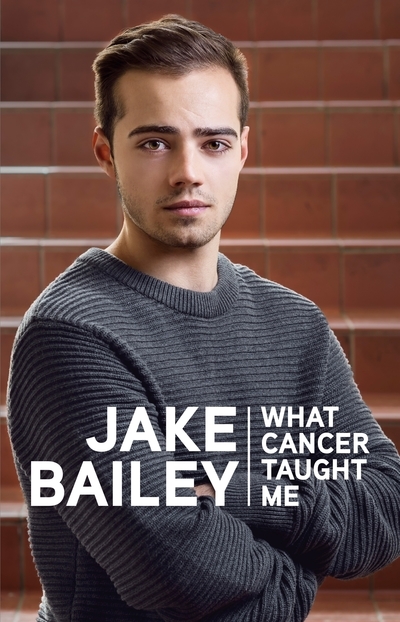 In his biography we share Jake’s journey, his illness, his treatment and recovery. Jake’s story is one we all need to read. While aimed for the adult market I believe this is one of those perfect cross-over books and will be a must-have for secondary school libraries. Such an honest and inspirational young man, I can’t wait to read his book.